Snared by New Blood Pressure Guidelines. Now What? Nov. 21, 2017 -- Nearly half of Americans have high blood pressure under guidelines published last week, which lowered the threshold for the chronic condition. The impact was huge. Overnight, more than 30 million adults with a systolic blood pressure (the top number) of 130 to 139, or a diastolic blood pressure (the bottom number) of 80 to 89, got a new diagnosis: stage 1 hypertension. That left many wondering if the change wasn’t a big conspiracy, cooked up by the pharmaceutical industry, to get more people to take a prescription drug. For others, there was just confusion. Why the change? And what should they do about it? The first thing to understand about the new guidelines is that for people who fall into the stage 1 category, medication isn’t recommended unless you’ve already had a heart attack or a stroke, or you’re very likely to have one because you do or have things that raise your odds of having them, like smoking or diabetes. Instead, the guidelines stress that lifestyle changes are needed to bring blood pressure that is creeping up back in line. “People should not neglect the importance of what they can do to control their blood pressure,” says Steve Nissen, MD, chairman of the department of cardiovascular medicine at the Cleveland Clinic in Ohio. The most effective ways to lower blood pressure are to lose weight and to follow a diet that’s low in sodium and higher in potassium from fruits, vegetables, and whole grains called the DASH diet. “Obesity is very, very closely tied to increased blood pressure,” says Nissen, who didn't help come up with the new targets. In addition to diet and weight loss, the guidelines say limiting alcohol, quitting smoking, and regular exercise can each lower blood pressure by 4-5 points. If followed closely, the DASH diet lowers blood pressure by about 11 points. Heart doctors set the new targets after a series of well-done studies showed that the lower blood pressure was better for you. The government-sponsored SPRINT trial included more than 9,000 adults over age 50 with high blood pressure and a higher-than-average chance of having heart disease. People in the study were randomly assigned to either standard or intensive blood pressure control. Those who lowered their blood pressure saw their chance of having a heart attack, stroke, heart failure, or death from a heart problem drop by 25%. Nearly 7% of people in the standard control group had one of those things happen, compared with about 5% of people in the aggressive intervention group. “The study was stopped early because it had such a clear benefit,” Nissen says. Earlier studies have shown a clear relationship between blood pressure and the risk for heart attacks and strokes. In 2002, a look at study data found that for adults ages 40 to 69, each 20-point increase in systolic blood pressure (the top number) and each 10-point increase in diastolic blood pressure (the bottom number) doubled a person’s odds of stroke and cardiovascular death. For adults in their 50s, for example, the chance of having a stroke within the next 10 years rose from about 2% to 4%. People almost never feel high blood pressure, at least in its early stages, and experts agree it is toxic to the body. Ground zero for this damage is the lining of the blood vessels, a tissue layer called the endothelium. For most people, “without damage to the endothelium, you don’t get heart disease,” says Suzanne Steinbaum, DO, director of women’s heart health at Lenox Hill Hospital in New York City. She also didn't help come up with the new guidelines. “With high blood pressure, it gets very, very stiff, and when it gets stiff, it’s more likely to get cut. When it gets cut, that’s when cholesterol gets inside, and that’s when plaque develops,” she says. Over time, plaques can grow into blockages that narrow or even seal off arteries. If that artery is around the heart, you get a heart attack. In the brain, it’s called a stroke. 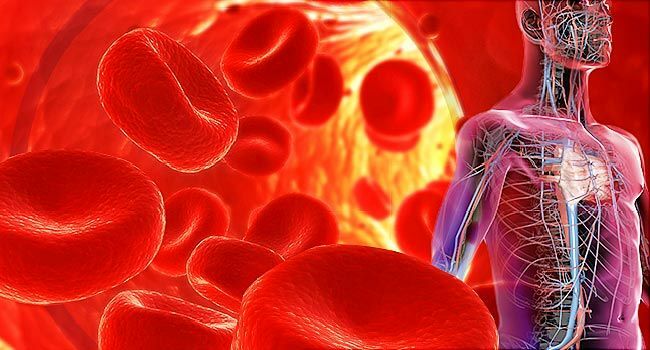 High blood pressure can also cause weak spots in arteries to balloon and rupture without warning, causing life-threatening internal bleeding. Over time, high blood pressure causes the heart to get larger and weaker, causing heart failure. It can also cause dementia and kidney failure. “So if you get this under control, you’re really changing the outcomes of your life,” Steinbaum says.